Felipe Morales, Rodolfo Morales, Fernando Olivera, Carlomagno Pedro, Mario Romero, Shinzaburo Takeda & others. Opening reception: Second Thursday, October 13, 6 to 9pm. 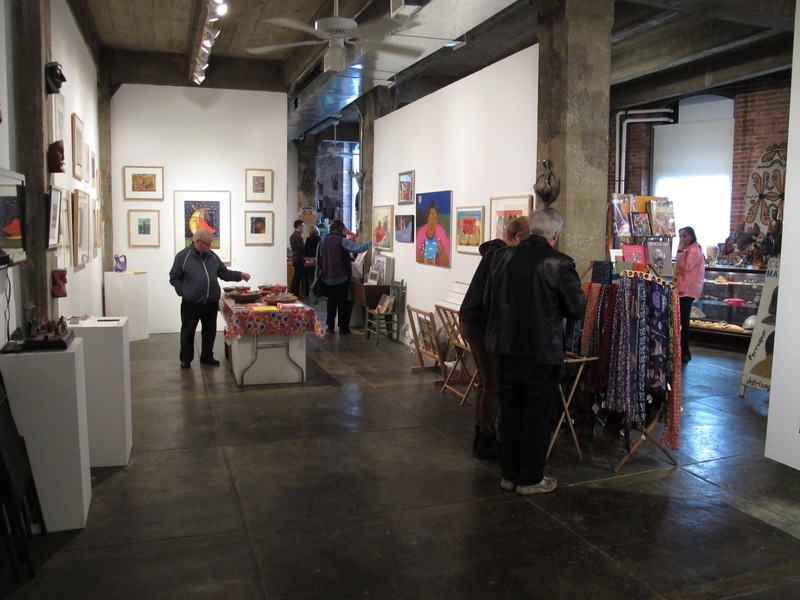 Gallery Hours: Wednesday through Saturday, 12 to 6pm. 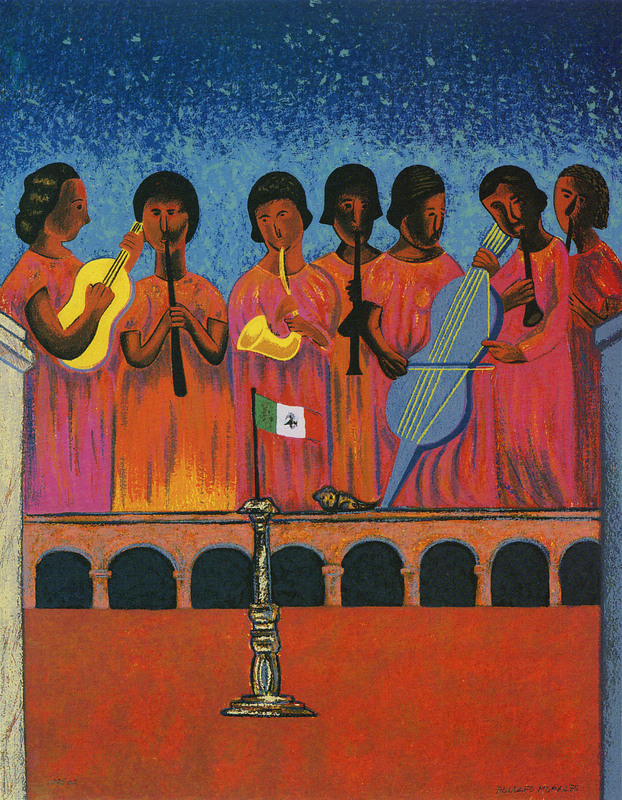 Mexicanismo reflects an intentional expression of Mexican identity in art which came to its fore in the years following the Mexican Revolution. 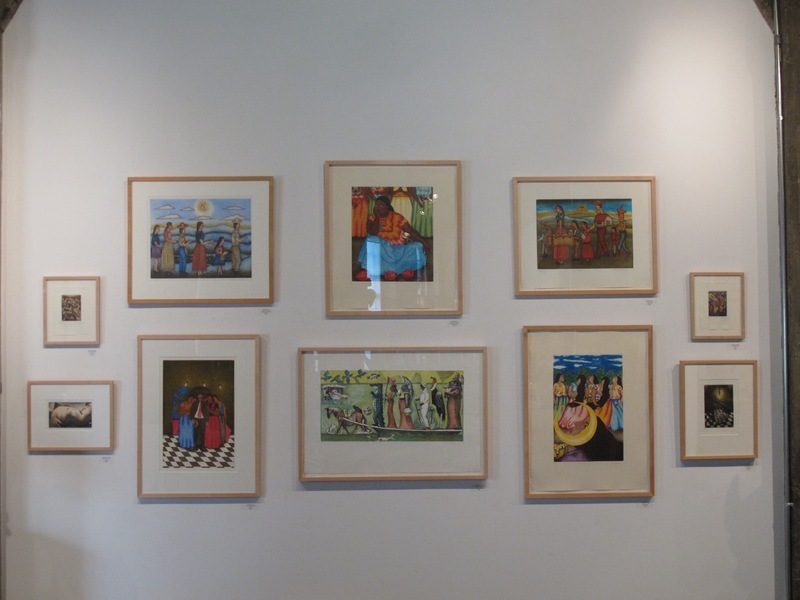 A selection of prints and paintings of the last 30 years from the Indigo Arts’ collection, the exhibit testifies to the rich legacy of 20th century Mexican art. Mexicanismo illustrates many of the artistic movements unleashed by the Mexican Revolution and the advent of Mexican modernism over a century ago. While not immune to other tendencies in contemporary art of the last three decades, the artists shown here - many from the artistically fertile southern state of Oaxaca - have retained and developed the key characteristics of the period that established the Mexican School in art. The influence of Los Tres Grandes – painter/muralists Diego Rivera, José Clemente Orozco and David Alfaro Siqueiros – persists in the political and cultural awareness of these artists. 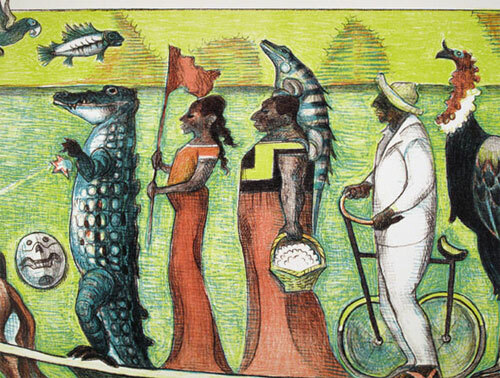 Oaxacan artist Fernando Olivera shares their heroic vision of the Indio peasant, and has unrelentingly championed the plight of the marginalized and the desaparecidos (the disappeared), particularly among the Tehuana peoples of the Isthmus. Mexico City artist Mario Romero recalls the heroic images of pre-Columbian art, but often uses them in an ironic way, juxtaposing them with modern articles and context. 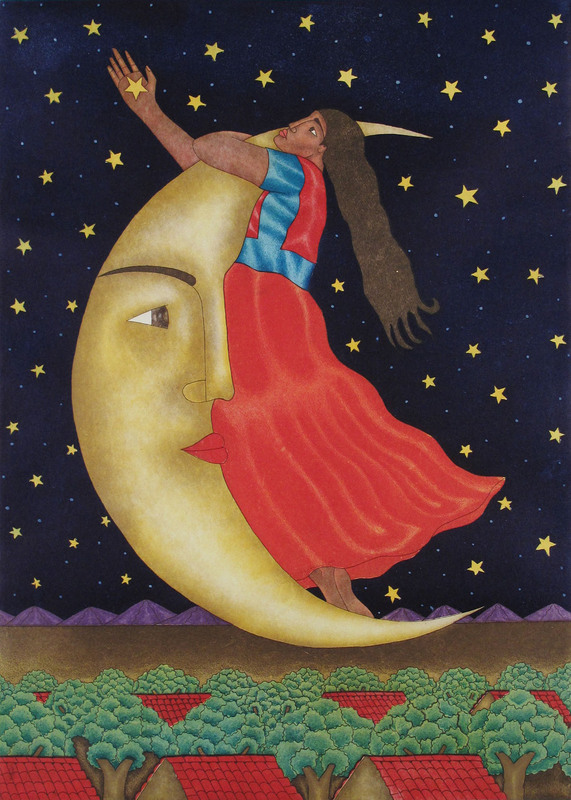 Indigenismo, a celebration of indigenous Mexican culture, inspired Rivera, Frida Kahlo, and particularly that chronicler of Mexican history and culture, Miguel Covarrubias. It lives on in the woodcuts of Oaxacan artist Modesto Bernardo and the prints and paintings of Shinzaburo Takeda. While born in Japan, Takeda has spent his entire adult life in Mexico, and has been called the “mas Mexicano” of Mexican artists. To American viewers this work bears a strong resemblance in style to American work of the Depression and New Deal era. This is no coincidence, because both were influenced by Rivera and the other Mexican muralists. The Mexican flavor of surrealism embraced by Frida Kahlo, Maria Izquierdo and others is reflected in the elegant work of José Eddie Martinez. 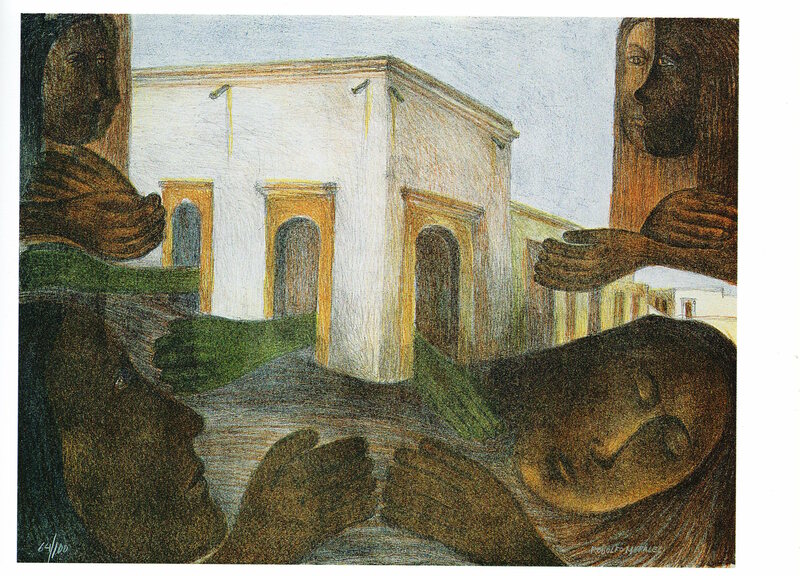 The artists of the Oaxacan School in particular became known for a variety of magic realism that was described by poet Alberto Blanco: “The appearance in our history of another time and place; a space within another space; a time within another time.” It infuses the work of the late 20th century maestro, Rodolfo Morales and many that he influenced, including Enrique Flores, Leovigildo Martinez, Felipe Morales, and Fernando Olivera. The great Mexican engraver, cartoonist and social satirist Guadalupe Posada - while of the generation preceding the Mexican muralists - was the progenitor for much of their political and social art. He introduced the figure of the calavera or skeleton that remains the primary actor of social satire in Mexican art and popular culture today. Both Posada’s political concerns and his dark humor inspired the artists of the Taller de Grafica Popolar (the People’s Graphic Workshop) founded in 1937. 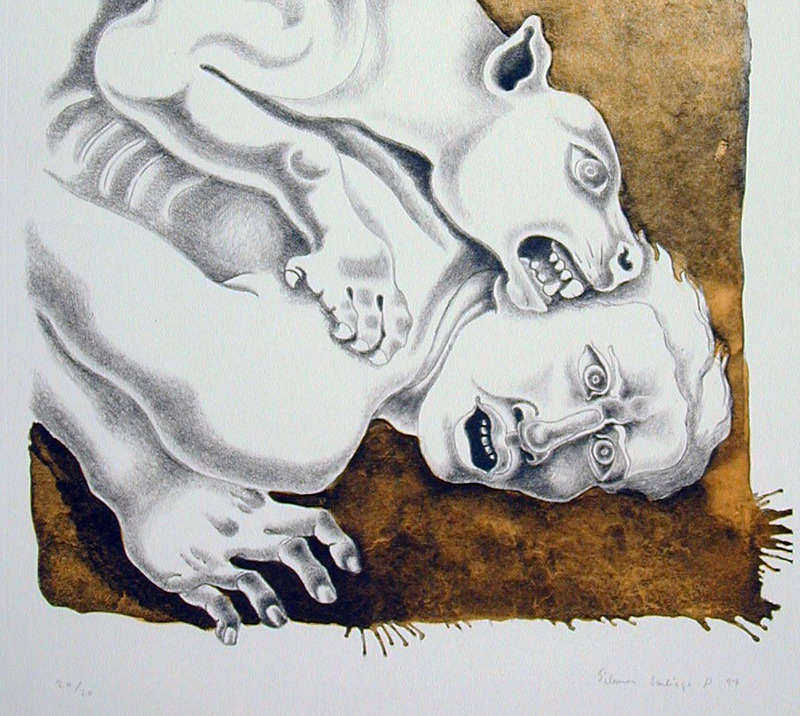 Posada’s work also inspires the Guerrero print-maker Nicolas de Jesus (who prints his satiric scenes on traditional amate bark-paper) and the Oaxacan calavera-sculptor and print-maker Carlomagno Pedro. 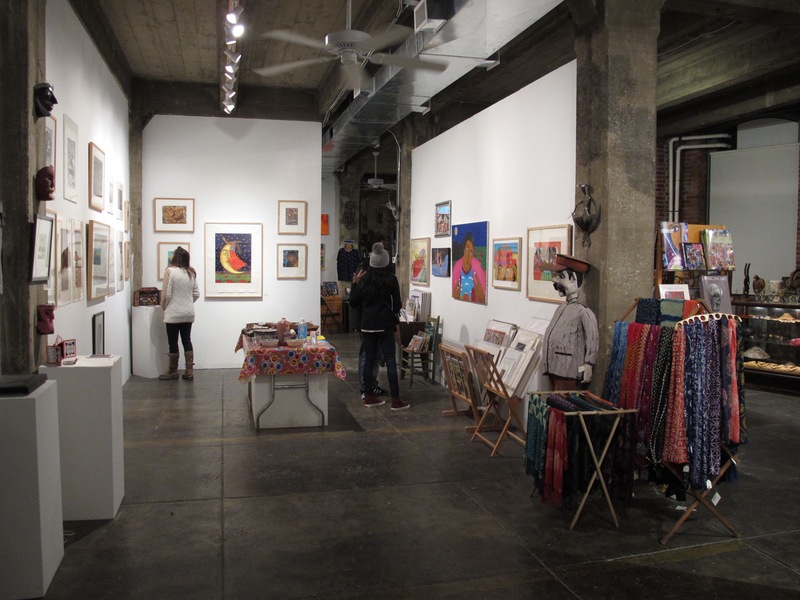 Indigo Arts has exhibited the fine art and folk arts of Mexico, particularly Oaxaca, since 1986. Four figures with articulated arms and legs, table and bottles. Wood painted with acrylic paints. (19" x 9 1/2" plate size on 25 1/4" x 15 1/2" sheet), #29/150, n.d. Tribute to Frida Kahlo's "My Dress Hangs There"
Ocotlan de Morelos, Oaxaca, Mexico, c.1995. Fired clay figure painted with acrylic paints. Vintage sculpture from a collection of Mexican folk art. Note: some minor repairs by previous owner (see photos). Acrylic paint on masonite w/ clear lacquer.